AWP was amazing. This was only my second time attending, but it was far superior to my first time around. I was more experienced as a tabler, I made it to the panels I really wanted to see, I enjoyed meeting contributors, and all around I felt more connected. Weave did well too. We sold a bunch of the new issue as well as back issues. We also got the word out to people who hadn't heard of us yet and hopefully forged some new connections with other editors for ad swaps and other collaborations. 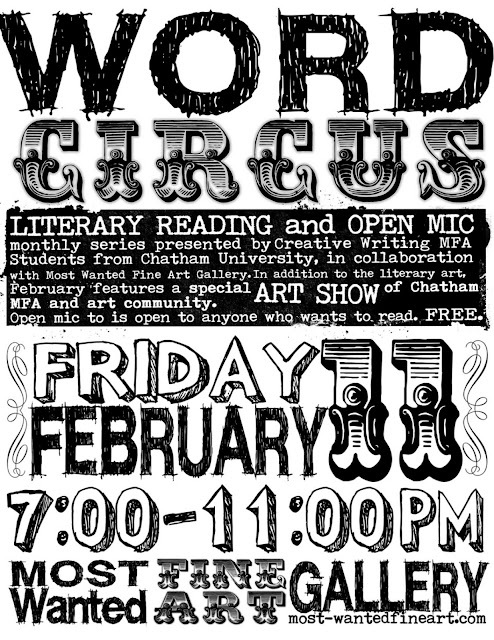 Once again, I'm reading this Friday at 7pm at Word Circus. I'm going to read some material from my new manuscript, and maybe some old favorites as well. It would be great to see you there. Click on the flyer below to RSVP to the Facebook invitation!